The Loop Trolley will soon be up and running in University City. 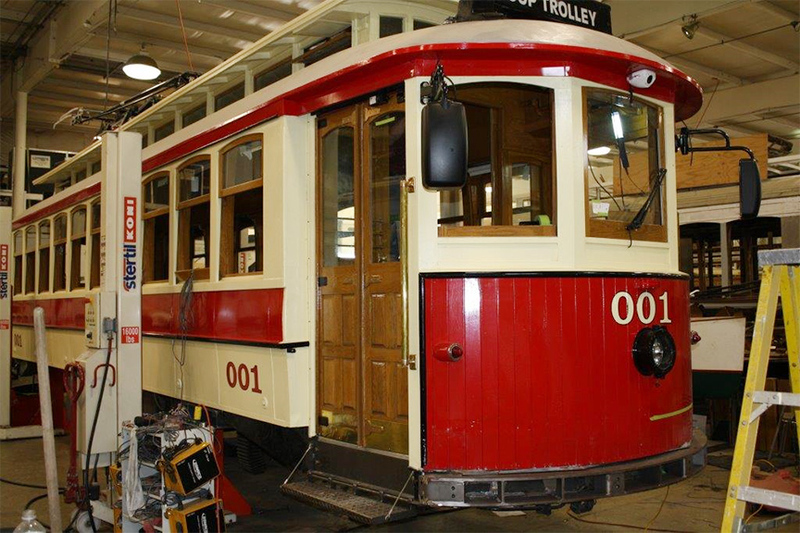 A piece of history will soon come back to life in University City as the Loop Trolley construction nears completion. Streetcars were a popular mode of transportation in the late 1920s through the 1960s. In fact, The Loop got its well-known name because of the streetcar turnaround on Delmar. In 1997 a community group was looking for ways to cultivate development in the area. Longtime supporter and promoter of the Delmar Loop and owner of Blueberry Hill Joe Edwards proposed a revival of the streetcar system to encourage pedestrian travel and link The Loop with city. 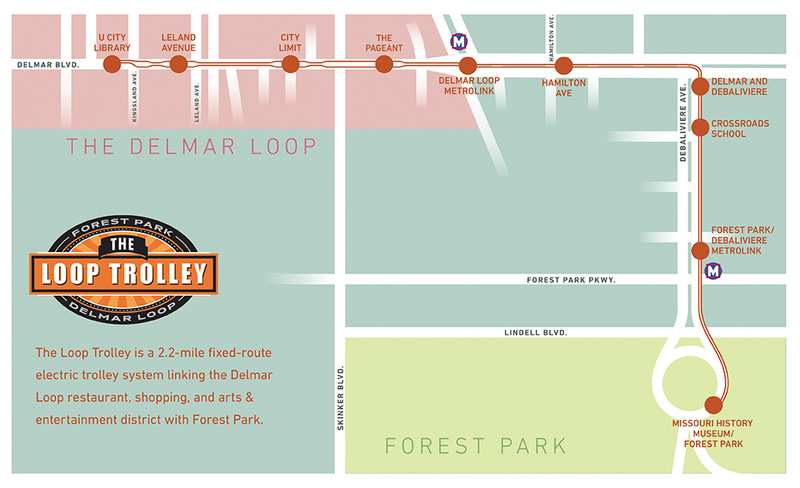 The 2.2-mile Loop Trolley will run along Delmar Boulevard and DeBaliviere Avenue, connecting the restaurants, shopping and entertainment of The Loop with Forest Park. In The Loop, the trolley will operate in drive lanes joining vehicular traffic. There will be 10 designated trolley stops for passengers to hop on and off. Explore your city with a day spent riding the trolley up and down Delmar. Check out the attractions at these stops along the Trolley route. Missouri History Museum – Part of the World’s Fair exhibition buildings, the Missouri History Museum showcases pieces of the state and city’s history. Enjoy lunch or brunch (Sundays) at Bixby’s as part of your visit. The Pageant – Catch a live performance from artists stopping through town in this intimate concert venue. There isn’t a bad seat in the house because no matter where you sit or stand you will always be within 70 feet of the stage. Moonrise Hotel – Grab a drink on the rooftop patio at this unique, boutique hotel. Pin-Up Bowl – With eight lanes available, you can bowl a few games or post up here all night. Pin-Up Bowl boasts delicious signature cocktails, an impressive selection of beer and liquors as well as a full-service kitchen. City Limit Stop: Hop off the trolley and explore the unique shops along Delmar Boulevard. This stretch of Delmar also include a variety of restaurants to suit your tastes. Leland Avenue Stop: The Leland Avenue stop will give you a true taste of The Loop with a variety of authentic places to visit including Blueberry Hill, a landmark restaurant and music club; Vintage Vinyl, a killer record store with hard-to-find music; Fitz's Root Beer, with a vintage bottling line and more. University City Library Stop: Curl up with a good book at the University City library or make your way back down through The Loop and stop in Craft Alliance, a local non-profit art center with a gallery shop, contemporary craft exhibitions, classes and free community program.